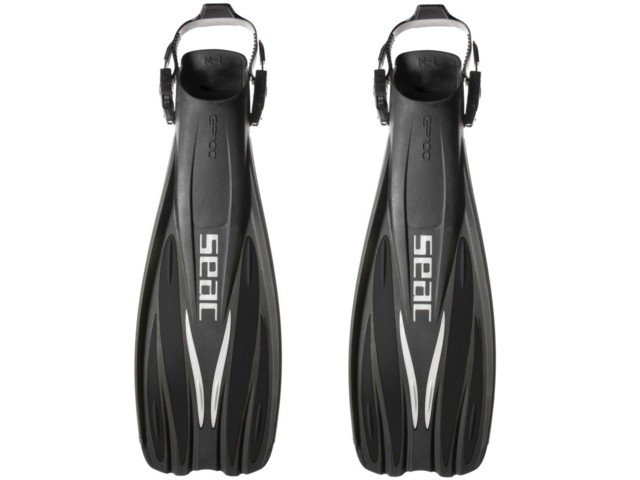 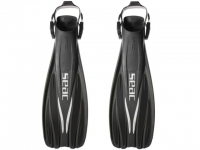 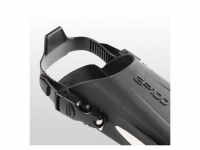 Fins Seac Sub GP 100 - Power and comfort! The GP 100 fin boasts an extremely attractive design with technical characteristics of the engineering and material that guarantee excellence in terms of performance. The entire fin is lined in elastomer to prevent wear and abrasions, the blade is equipped with an insert in a third type of material,capable of optimising thrust without stiffening the stroke, the ample stabilizers improve the channeling effect of the fluids, and all this is further enhanced by a comfortable and roomy shoe in thermoplastic elastomer. 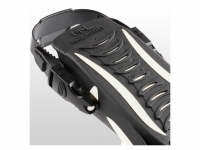 • Size: S/M - 36/40, M/L - 40/43, L/XL - 44/47.